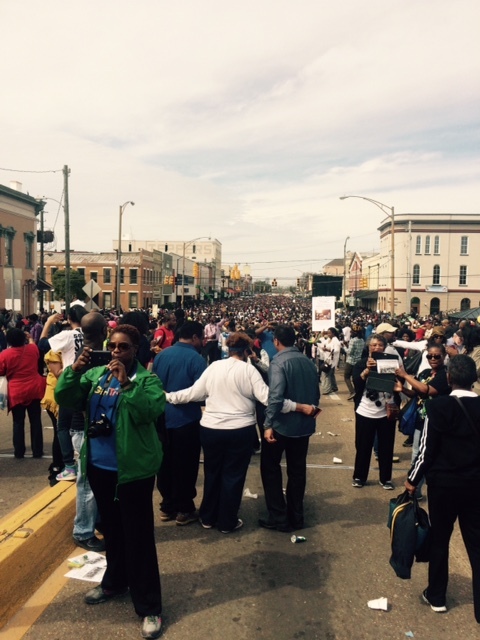 Crowds gather in Selma to commemorate the 50th anniversary of Bloody Sunday. In overalls on the frontline. Post by Monica Russo, President of SEIU Florida State Council & Executive Vice President of 1199SEIU, and CoLab Mel King Fellow. Photo Credit: J. Phillip Thompson, MIT DUSP Associate Professor.